Given the dogmatic fervor of global warming proponents, and their intolerance of skeptics who dare to question the latest commandment (see: cap-and-trade ) in the green scripture, it is perhaps no coincidence that the environmentalist movement sometimes seems to have more in common with theology than with science. If that is true, then the logical word to describe those scientists who have challenged environmental hysteria and extremism is “heretics.” In a series of profiles, Front Page’s Rich Trzupek  will spotlight prominent scientists whose “heretical” research, publications, and opinions have helped add a much-needed dose of balance and fact to environmental debates that for too long have been driven by fear mongering and alarmism. In a field that demands political conformity, they defiantly remain the heretics. Lord Christopher Monckton, Third Viscount of Brenchley, is a legend within the global warming skeptic community. The erudite Englishman was an advisor to Prime Minister Margaret Thatcher when climate change theories were in their infancy. In recent years, he has been one of the most eloquent and vocal critics of Al Gore and those who echo Gore’s alarmist cries. Thatcher is often identified as the western leader most responsible for promoting the theory of man-made climate change that would explode into full-blown hysteria soon after she left office. This, Monckton says, is a misleading characterization. He recalled raising the issue with Thatcher as a possible concern, since carbon dioxide is indeed a greenhouse gas, but after studying the issue with leading scientists, the Prime Minister and Monckton concluded that any potential warming would be insignificant compared to natural factors. Monckton re-entered the climate-change fray in 2006, writing two pieces in the Sunday Telegraph criticizing global warming alarmism. The articles caused an immediate stir. In a world hungry for understandable, reasoned explanations of climate science, Monckton’s greatest gift is his skill as a communicator. 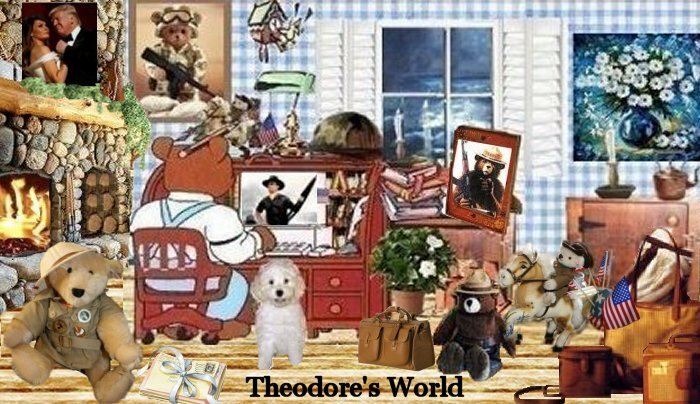 Though he is not a climatologist, he is well versed in both the basics and the nuances of the issues surrounding climate change. Monckton politely explaining the realities of global warming theory to a member of Greenpeace during the Copenhagen climate conference in December. 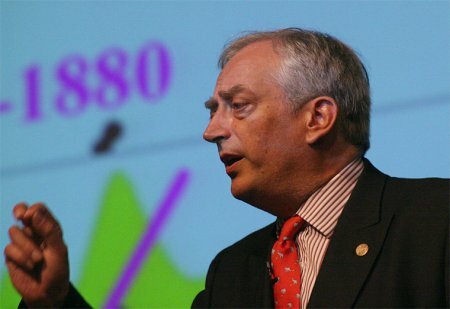 Monckton is one of the few to address one of the tragic, unintended consequences of the world wide rush to produce biofuels as means of combating global warming: mass starvation in some of the world’s poorest nations. Between 2002 and 2008, world food prices more than doubled, according to the Food and Agricultural Organization  of the United Nations. With the United States leading the way in turning cropland previously used to grow foodstuffs to support energy crops, world food supplies have dropped, both raising food costs and leading to an unprecedented number of food riots throughout the third world. Long before an earthquake ravaged Haiti, Monckton witnessed firsthand the turmoil that the world food crisis had caused in that impoverished nation. The former newspaperman places a great deal of the blame on the media. He argues that the press has championed a theory formulated by a couple of dozen scientists, refusing to reconsider any evidence that may challenge it. “The press, having nailed their flag to the mast of this sinking ship, have no stomach to go through the not inconsiderable embarrassment of admitting that they were wrong,” he said. While Monckton was pleased that industrialized nations did not sign onto a Copenhagen treaty he believes would have effectively created a world government, he was not as upbeat as many others were about the result. Pointing to the establishment of a high-level panel to address global warming and the establishment of a green fund to transfer money from the first world to the third, he sees Copenhagen as yet another step down a gradual, yet slippery, slope. But, despite all of the shouting and deal making, Lord Monckton believes that the global warming movement cannot sustain itself much longer. Lord Monckton is pretty awesome and I love how he says things so directly. Lord Monckton is a terrfic orator. He reminds me a lot of William F Buckley. Tom, I agree so much. I am very impressed with Lord Monckton and he does have that quality of Buckley. The reason this came about he had given a speech and these environmental whackos stormed in and interrupted the speech. He paid them a visit at their Green Show and laid them out in lavender. He makes one proud of our British heritage. 5)As our manufacturing costs go up due to the ETS more Australian jobs will go overseas and the co2 levels would still be produced but in someone else's back yard like China.